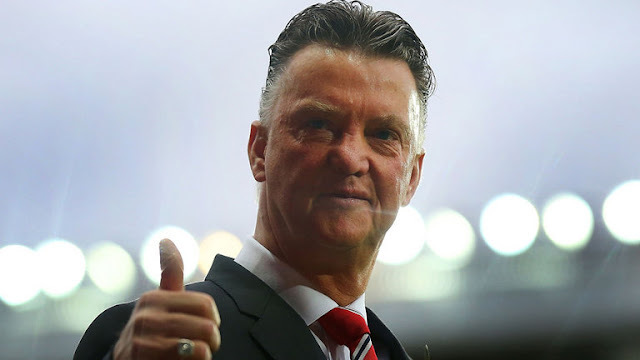 Louis van Gaal appears to be holding onto his job at Manchester United by the skin of his teeth. Leading into the crucial holiday period, United are winless in six, out of the Champions League at the group stage, they've just lost successive matches against promoted sides and are now out of a top four spot in the Premier League table. Besides the inevitable frustration with this horrible run of result, United fans seem to have lost patience with the dull style of play under the Dutch manager and are starting to make their discontented voices heard. If reports in the media are to be believed, Van Gaal has the next two or three fixtures to turn things around or he'll be out of a job. After spending a reported £250 million in the transfer market it's unsurprising that questions are being asked about the team's form and although Van Gaal has himself to blame for some of United's problems, there have been a few factors outside of his control perhaps, that have gone against him. Although it's sacrilegious in some circles to criticize Sir Alex Ferguson, the truth of the matter is that the squad he left behind when he retired in 2013 had some urgent gaps to fill. 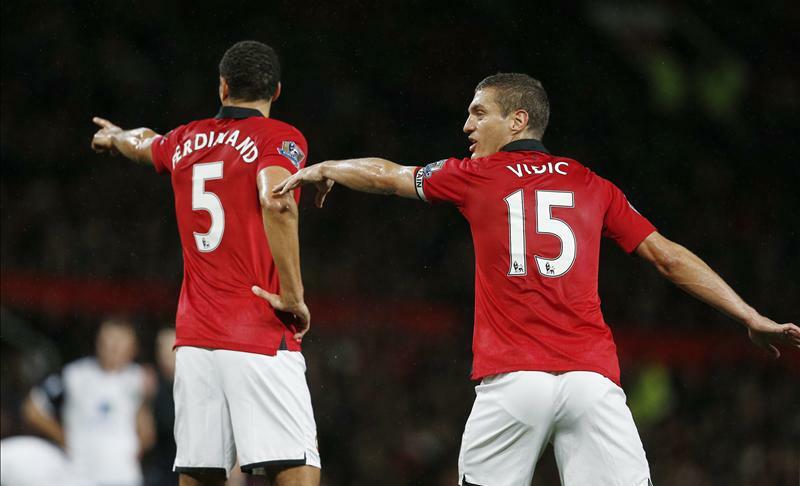 Although the Scot was able to coax one more fine season out of Nemanja Vidic, Rio Ferdinand and Patrice Evra as they stormed to the title in 2012-2013, the fact of the matter was that all three defenders were aging and on their way out. Although the three stayed on during the troubled season under Ferguson's successor David Moyes, all of them departed in the summer of 2014 and this left a huge hole in not only the United back line but also in the dressing room. All of these players were big influences on the squad and had the experience of winning everything club football has to offer. Their loss has been greatly felt. The other issue was Ferguson's refusal to reinforce his midfield over his last five seasons or give the talented youngster Paul Pogba a chance in the side, which along with a few other factors led to the French midfield dynamo's move to Juventus. Both Moyes and Van Gaal, with mixed results, have attempted to strengthen in this area, but the money they have shelled out on the likes of Bastian Schweinsteiger, Ander Herrera, and Marouane Fellaini has taken away funds that could have been used to bolster a paper thin attack or a leaky back line. Following a slow start to the 2014-2015 season, United were bolstered by the signing of Angel Di Maria in the mid-August and on 14 September the Argentine winger was at his scintillating best as the Reds smashed a lackluster QPR side 4-0 at Old Trafford. 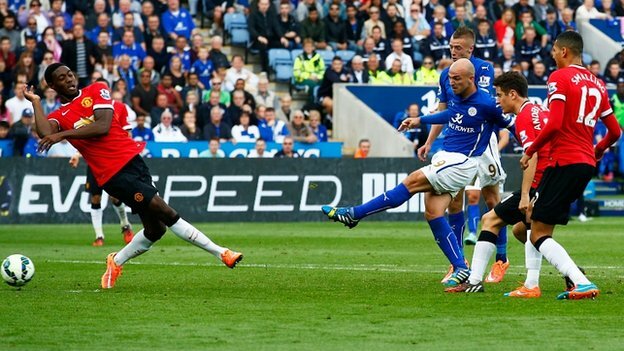 The following week at Leicester, United seemed to be continuing their thrilling attacking ways from the week before as Di Maria scored one of the goals of the season on the way to helping stake United to a 3-1 lead. But then a controversial penalty was awarded to Leicester, which brought them back into the match, and Van Gaal's side simply imploded on their way to a stunning 5-3 loss. This match seemed to be the turning point for Van Gaal, as he would never again allow his team's to play with such attacking abandon as he began to emphasize safe possession over all else. In the 15 months following this result, United have only scored four goals in a match twice. A staggering statistic from a club that used to put sides to the sword. 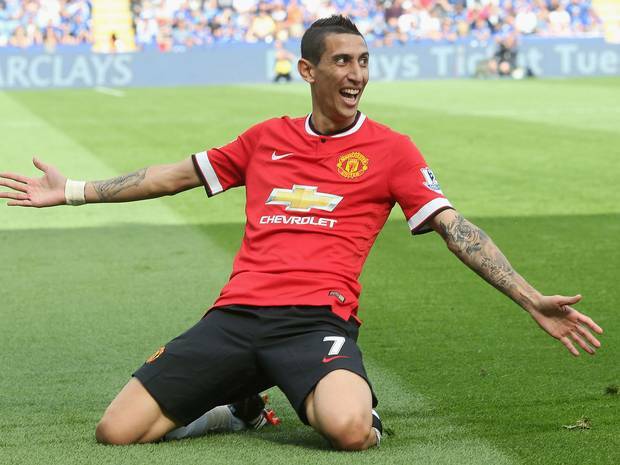 Coming off of a season where he had been the man of the match in the UEFA Champions League Final for Real Madrid and then helped Argentina to a World Cup Final in Brazil, Angel Di Maria was the big name signing that United fans had craved for years when he came to Old Trafford in the summer of 2014 for a club record £59.7 million. After a bright start for the club, Di Maria went down injured during a 3-0 win over Hull City in November and struggled to recapture his form upon returning to the side. 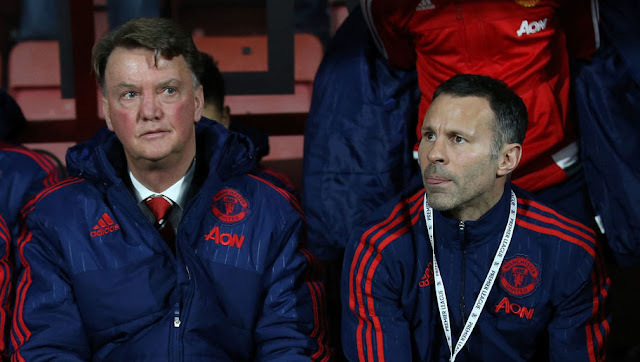 Di Maria also wasn't helped by Van Gaal playing him out of a position as a forward. The two apparently argued behind the scenes about the Argentine's role in the squad and it was with much disappointment, to many United fans, when arguably the most talented player the club has had since Cristiano Ronaldo was offloaded to PSG for £44 million in August 2015. It seems hard to believe Wayne Rooney is only 30 years old, as the United captain seems to have the knees and fitness level of a 40 year old at the moment. 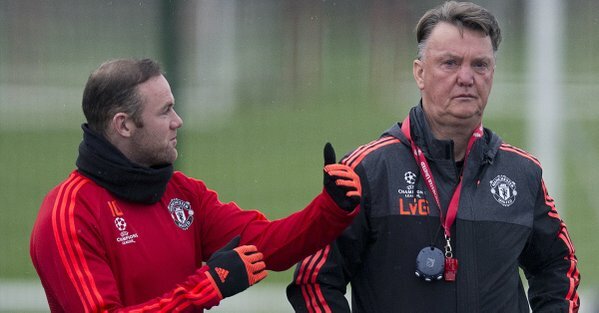 It's no secret that Sir Alex Ferguson and Rooney had fallen out in Fergie's final season, nor is it off the mark to say that Rooney's game has been in decline for at least four seasons, so chances are that if the legendary Glaswegian boss hadn't called it a day in 2013, Wayne would likely be plying his trade elsewhere now. However, history tells us that David Moyes and Ed Woodward awarded the Scouse striker a massive new contract in February 2014 that essentially tied him to the club for the rest of his career. Whether Van Gaal has been hamstrung by the board's backing of Rooney or he simply doesn't have any alternatives, the United boss has been unwilling to drop his captain regardless of how wretched his form has been and make no mistake about it, Rooney has been abysmal this season. It's not just his record of two goals in thirteen appearances that's an issue, it's his complete lack of a first touch and questionable fitness that has arguably turned him into a liability. Much has been written about Louis van Gaal's philosophy, but the truth of the matter is that what he sees as patient possession football is a United side that just passes the ball with low risk, often backwards or sideways, without any penetration or threat to their opponents. United create very few chances with this slow approach, as opponents are given too much time to recover their shape once they're off the ball and as a result they offer Van Gaal's side too few openings. Van Gaal's unwillingness to put his pride or caution aside and allow his team's to play a little more daring football is ultimately proving to be his undoing.